Just in case you’re not already jamming to The Kooks’ catchy as hell music, we thought we’d clue you in to this British pop/rock band. Fans of Arctic Monkeys, The Vaccines and great rock, funk and R&B-influenced pop are sure to enjoy The Kooks’ upbeat, quirky tunes. The Kooks have been around for quite a few years and are gaining more and more popularity. The band formed in 2004 and quickly gained mainstream success with 2006 release, Inside In/Inside Out. More recently, the group has toured with up-and-comer, Halsey, and released their latest album, Listen, in 2014. 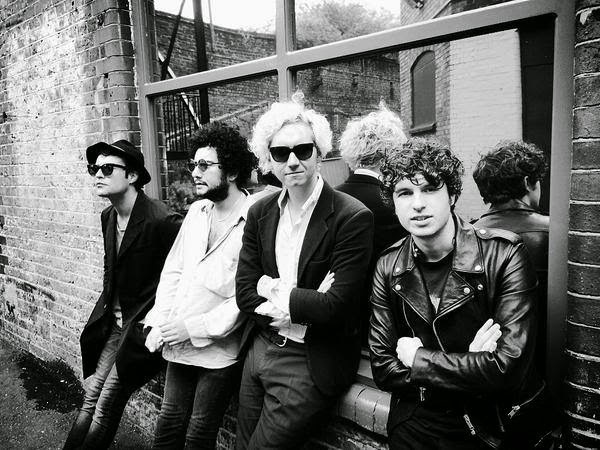 Songs like “Junk of the Heart” and “Bad Habit” chart exceedingly well, as well a demonstrating the clever character of The Kooks’ songwriting. Each track has a different tale to tell, and no two songs are the same. On their most recent release, Listen, the band incorporates a number of different elements, from reggae to R&B, British Invasion-esque vocal hooks to power-pop choruses. With such a neat sound and willingness to try just about anything, The Kooks are poised to keep getting bigger. Their knack for creating big, catchy choruses and deftly weaving different genres together to create interesting, complex tunes make The Kooks a great band for just about any listener.